Home » Guide » Car Insurance 101 » When Should I Assume Higher Risk With Auto Insurance? When Should I Assume Higher Risk With Auto Insurance? Assuming a higher risk with respect to your auto insurance depends on your choices and your current situation. Just because you have money in the bank or you are tightening belts during the rainy days does not mean that you have to opt for a higher risk with auto insurance or opt for a lower one. You would be surprised to know that choosing to assume a higher risk does not entirely depend on how much money you have on hand or how broke you are. 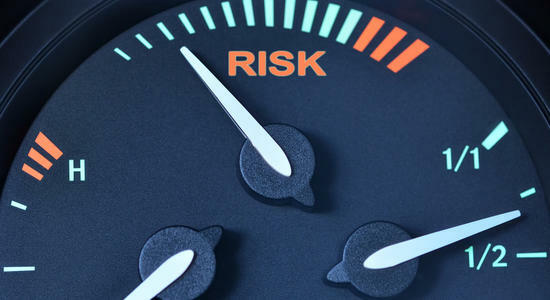 Here are some factors which may make you want to opt for a higher risk. Needing to save money does not mean that you are saving to keep the money in the bank for contingencies. It could mean that you are saving up for something—a backpacking adventure out of the country, to pay for college tuition whether it be for a relative or for yourself, or because you opt to eat at nicer restaurants. When you opt for a higher risk insurance, you get to pocket the excess money that you should have paid to your insurance company. By agreeing to shoulder a big chunk of the expenses in case of an unforeseen event, the insurance company will gladly lower your insurance premium. The money that should have been paid for a higher premium could go to your traveling funds and college tuition, instead of paying it to the insurance company for a higher rate for a contingency that may never happen. Some people view the insurance industry with one eyebrow raised. What a lucrative business, they would think. It really is a money-making venture. If there will be no accident, then the insurance company will have no liability. They get to keep the insurance premiums you paid (except if the insurance contract is rescinded for valid reasons). If you have money in the bank, there is no sense in paying for an expensive insurance policy. Why not assume a higher risk in case of a possible liability that you must answer to, and lower your insurance premiums? Since auto insurance is unavoidable, you just have to procure one. Canvass rates and get the lowest insurance policy you see. You have money to answer for liabilities in the bank anyway, why pay for an expensive policy? When there are new drivers in the household, you can bet that the insurance company will definitely raise up your insurance premium. But if the household members compose of long time drivers, you can opt for a higher risk insurance because the chances of any of the drivers in the household getting into an accident is very low due to their years of experience on the road and above average driving skills. A little common sense can go a long way when it comes to auto insurance. Why would you pay expensive insurance premiums for an old car? If you acquiesce to shoulder higher amounts of damages, your insurance provider will lower your insurance premium. If you incur damage, how much could it be for an old car? Definitely cheaper than for new ones. If you own an old car, choose an insurance company offering cheaper quotes and agree to assume higher risk.